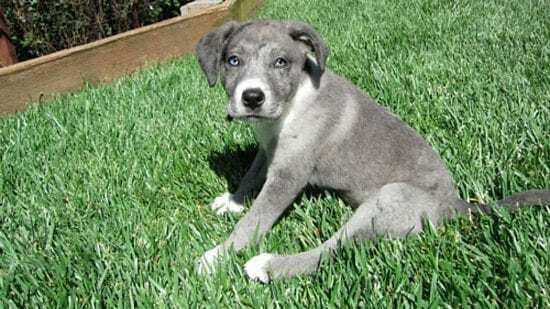 I remember so clearly that day, Mother’s Day 2011: the day that we adopted our dog Mystic from her foster home, at the tender age of just six weeks. Her pregnant mother had been rescued last minute from euthanasia at a shelter somewhere in Utah. Mystic’s mother and her nine puppies had ended up at a cattle dog rescue here in California, and were listed online at petfinders. She was such a baby, just four pounds (she is now forty pounds!). I knew it must feel so strange for her to be taken from her siblings and mother and brought to a new home filled with unknown people and smells. Technique 1: Finding the Perfect Dog: Be mindful of past blessings and future possibilities. By opening our hearts to new beginnings, we can remember the past with gratitude, but make room for new love. The deep love we have for an animal who has shared our life stays in our hearts always, even after our animal has died. Yes, the physical body may be gone, but the energetic essence will go on forever, and we will always be connected in our hearts. Inviting a new dog into your home is a wonderful way to honor the former dog—as if we are saying “this home just isn’t a home without a dog in it. This family just isn’t complete without a dog.” What a beautiful testament to the gifts and blessings dogs bring to our lives! After we lost our 16-year-old dog Dakota, we waited three years before we were ready for a new member of the family. When the search for a new dog began, I would spend a moment in meditation each morning, connecting in gratitude with the positive memories of Dakota, and opening my heart to the possibility of connecting with a new dog. When we take just a little time every day to open our hearts in compassion to new possibilities, the right dog will find us at just the right moment. My family will never forget how special Dakota has been in our lives, but at the same time we realize the blessing that Mystic is now to our family. How amazing that our hearts are always big enough to hold another dog! Technique 2: Coming Home: Visualize the Positives. This is a wonderful technique to use not only at the very beginning when you bring your new dog home, but also anytime you are introducing him to a new experience. You have already prepared your home for your dog’s arrival—bought a bed, leash, food and dishes, toys and treats, but don’t forget to prepare your mind and emotions! On our drive home, I held Mystic in my lap, comforting her with my voice. I closed my eyes and breathed deeply, letting all my concerns and stresses about our new arrival blow away like clouds in the sky. As I breathed quietly, I filled my mind with positive images. I pictured lots of things about our family, and filled my heart with a feeling of joy that Mystic was now also a part of our family. I envisioned things such as where we lived, what our house looked like, what the yard was like for her to play, where she would sleep, eat and drink, how many times a day we would feed her and so on. I visualized in my mind a typical family afternoon playing and hanging out. And then I let myself imagine Mystic being a part of it. I imagined us going for walks in our beautiful, hilly neighborhood, with so many interesting and wonderful things for her to see and smell. I visualized taking her to visit my horses at the farm where they lived, saw her running around and playing with the other dogs there, and so on. As my mind and emotions relaxed into these peaceful and joyful thoughts and emotions, I could feel Mystic’s little body relax into my arms, falling into a deep sleep. Technique 3: Ongoing Support: Connect from the heart. This is a great meditation to use with your new dog, not only on the first night you bring him home, but also as a daily way to connect with him. Sit near your dog, cross-legged on the floor or in a chair with your feet flat on the floor. Make sure your spine is nice and straight and place your hands palms up on your lap. Close your eyes and take three deep breaths in and out. With each in-breath, imagine your breath as a beautiful white light that is coming up from the earth through the base of your spine and through your body into your heart. With each out-breath, see this white light traveling back down your body and out your spine into the earth. Feel how this breath centers you and makes you stable upon the earth. Sit in this stable space of the earth for a few moments and then visualize your heart as a beautiful center of white light. Imagine you can expand this light out in all directions around you. With each breath, see your light expanding farther and farther, and feel the light becoming brighter and brighter. After a few moments focusing on your heart, just relax and let the energy of your heart flow all around you. Very gently, in your mind and with your heart, simply invite your dog into this beautiful heart space. Imagine your dog can step into or out of this space as they wish. Imagine that your two hearts can connect harmoniously. Feel peace and calm encompassing both of you. Relax and just share this connection with your dog for as long as they remain relaxed with you. In conclusion, we often think of Reiki as a system of healing to support the ones we love when they are sick or ailing, but it is so much more. Reiki reminds to connect from our hearts and create a compassionate space in all that we do. In remembering and accessing our inner compassion and deep connection to each other as much as possible in our daily lives, (especially in times of change or stress) we will discover that balance and peace is always possible. Try Reiki to help your new dog fit into your family; you just might be amazed at the results!